AudioQuest NRG-Y3 Powerkabel - Hi-Stands webshop! 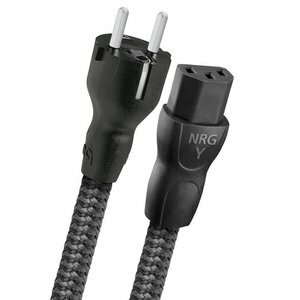 Ideal for video displays, powered speakers, and all other electronics, NRG-Y3 (3-pole) cables use direction-controlled Long-Grain Copper (LGC) conductors in a Semi-Solid Concentric arrangement in which the individual copper strands are packed more tightly and never change position within the bundle. This construction significantly reduces strand interaction distortion. The greater purity and more uniform grain structure of Long-Grain Copper further reduces distortion. 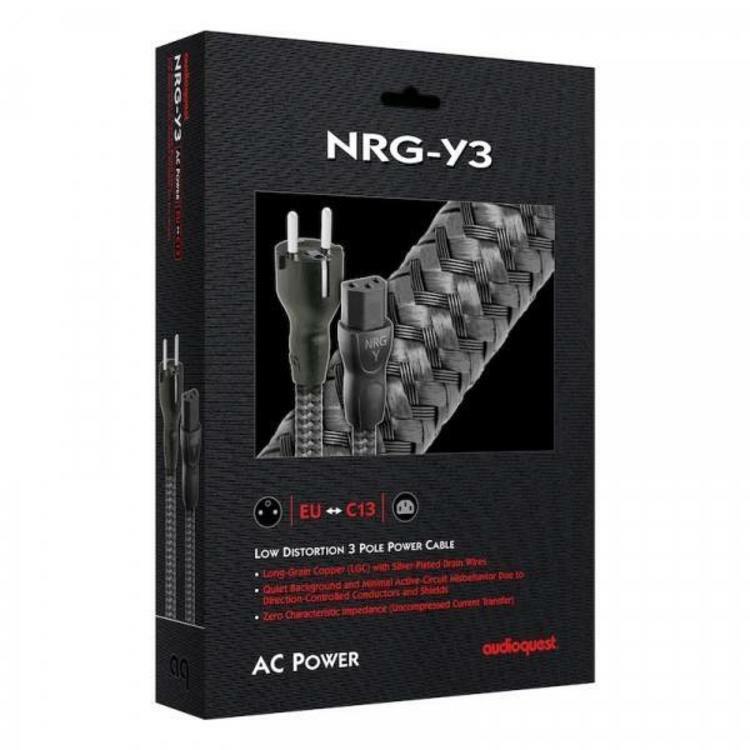 In addition, NRG-Y3's direction-controlled silver-plated shield conductors efficiently drain RF noise to ground. Direction-controlled Silver-Plated shield conductors efficiently drain RF noise from the line and neutral shields to ground via the third “ground” pin. The net result is powerful, dynamic, and immersive. While many AC power cables feature low DC resistance in order to accommodate the demand for high current, a cable’s characteristic impedance is also crucial for optimal performance. Unlike most AC cables that constrict or compress an audio-provoked transient, AudioQuest AC cables combine low DC resistance and zero (no) characteristic impedance in order to deliver uncompressed transients on demand.